While there are many examples of how to use Google Analytics for E-Commerce, traffic drivers like Search and Social and other forms of tracking, it’s not often that I come across articles about Google Analytics and how it helps track lead generation campaigns. Fortunately, I was given a tremendous opportunity by Adam Singer and the Google Analytics team to share my knowledge in this area on the GA blog. Much of the content was written before the announcement of Universal Analytics at the end of October, so some of the methodologies I mention may change in the near future. However, the principles will remain the same. 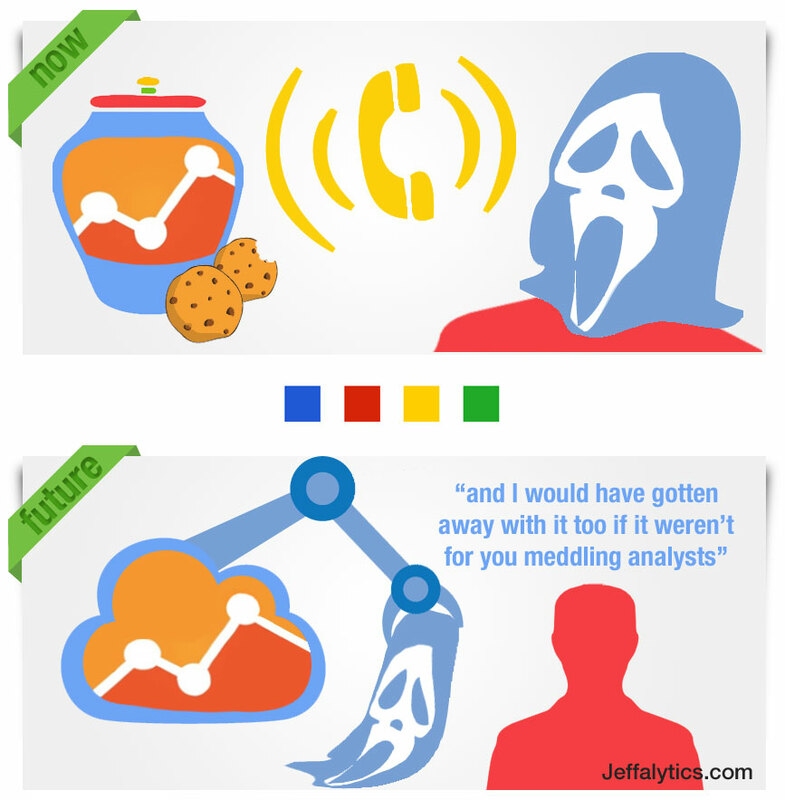 So what will using Google Analytics for Lead Generation potentially change with the introduction of Universal Analytics in 2013? I was waiting for you to ask. First of all, I think that the biggest difference will be the way that we integrate the data that we are trying to analyze. In the examples I gave on the GA blog, most items were centered around how to pull data out of Google Analytics and push it into your existing systems in order to better integrate the products. This is because until data uploading into Google Analytics for the purpose of dimension widening became available, that was what we needed to do in order to accomplish our tasks. Presently, Google Analytics is the database of record for your clickstream data (how people get to your site, what they do on your site), but not the database of record for tracking offline sales activity. For lead generation campaigns you still must coordinate with other systems or excel spreadsheets to figure out the sales impact and outcome of the activity generated through your website. In the not too distant future, we will be able to pull data from our sales systems back into Google Analytics, augmenting our clickstream data with rich data from our offline systems (like CRM systems for lead generators). This will result in a fundamental shift in where we go to find answers. 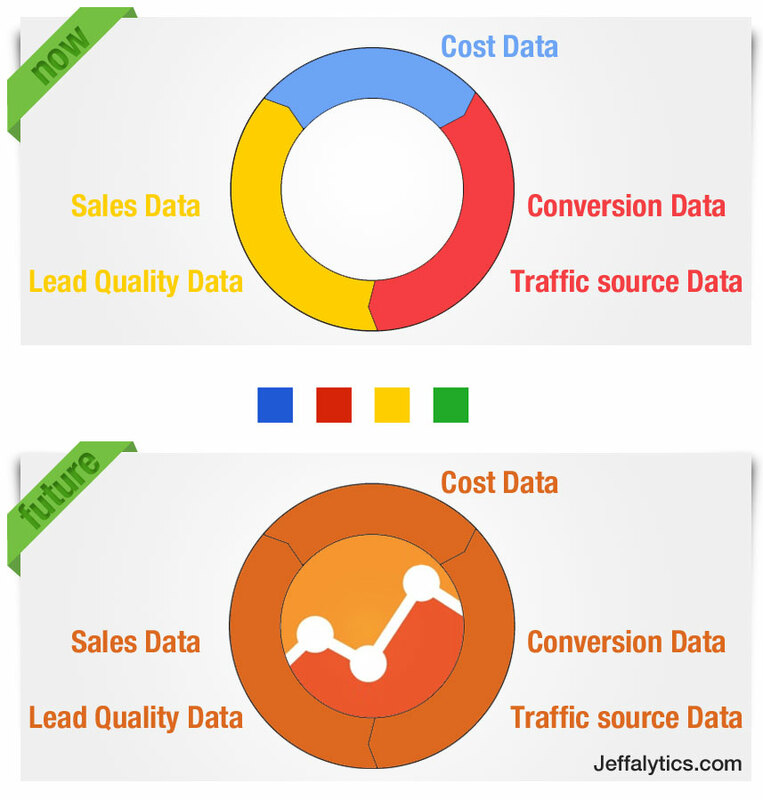 For many, Google Analytics will become the database of record and the preferred tool for revenue analysis. We can currently track phone calls to multiple levels of granularity using modern phone tracking systems. Want to know what keyword someone typed in before calling your site? Easy, all you need to do is utilize the Google Analytics integration module that hooks into your favorite phone tracking software and this level of analysis becomes possible. 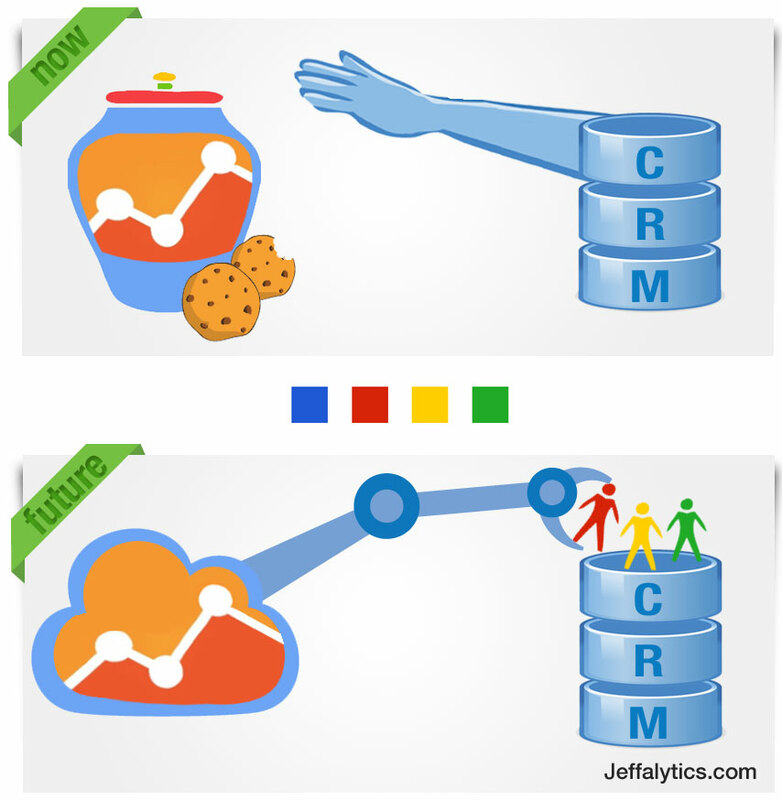 You can even use unique phone numbers or extensions to push this data onto the lead record in your CRM system. Perform keyword level analysis based on actual user data! Now you can have true keyword level ROI for phone call data in Google Analytics, while not compromising how this data is stored in your other systems. Geo Targeting Overlays in Google Analytics? Geo Locating a website visitor based on IP address is becoming more accurate, but is still not nearly as accurate as it should be. As a result, we end up casting wide nets around our geo targeting in order to make sure that we don’t leave anyone out. While tracking leads by geographic campaign and keeping costs down through optimization makes us sleep better at night, there is still plenty of room to do better with analyzing our geographic performance. While we can currently track performance of our geo targeted campaigns in several places, we are only able to see how many raw inquiries we generate (with little to no indication of quality). Web form conversions surely don’t equal sales, so our geo targeted campaigns may or not be as effective as the numbers lead us to believe. What we really need is a way to take our geo targeted campaign results and overlay the data with the city, state or zip code of the lead that our campaigns generated. This can be done using Universal Analytics and dimension widening! Since you will be able to create custom dimensions in Google Analytics for up to 20 fields that you upload, you can analyze customer revenue to multiple levels of granularity. Want to know if your entire Chicago campaign is doing well or just a subset? 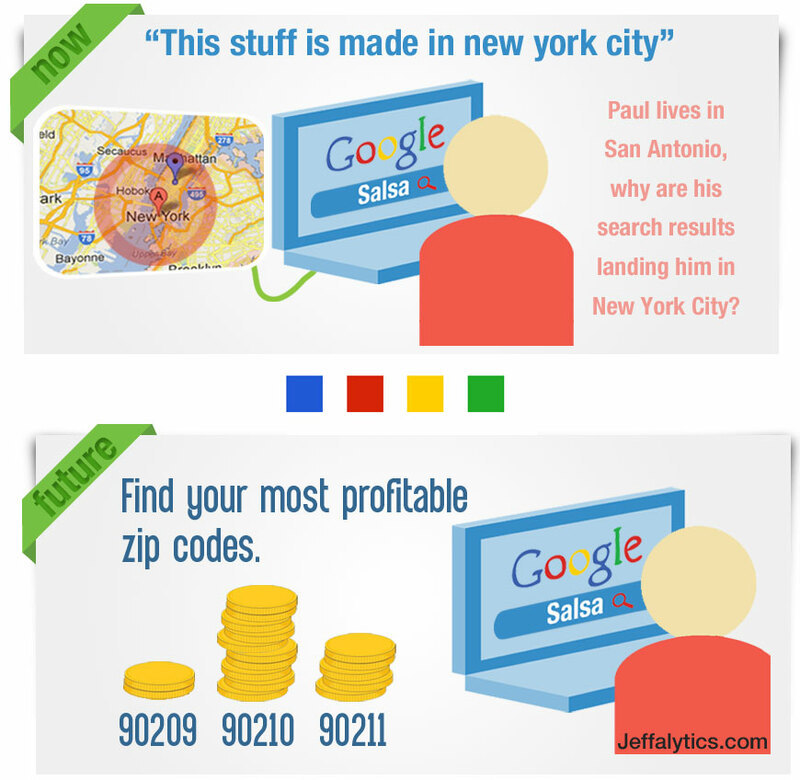 Soon we will be using Google Analytics to track performance all the way down to a zip code level. While many of us are currently doing closed loop analysis of our lead generation campaigns from Keyword to sale, it is a highly manual process that involves technical integrations and handshakes between systems, data dumps from several systems of record and some pretty snazzy excel formulas to accomplish the task. As such a highly manual process, the task is rarely performed more than once, and rarely is it done in real time. We have long dreamed of being able to conduct this level of closed loop analysis without all of the extra steps to get it done. With the ability to upload data from our CRM system into GA (especially the amount of revenue generated from each lead), we should be able to make this level of insight become a routine part of our analysis. While I still have some questions about whether we will be able to create calculated fields off of custom dimensions in Google Analytics when the feature is first released, even having the ability to store offline sales data in GA opens a world of options for closing the loop. Imagine downloading a report that contains your cost data from AdWords, Bing, LinkedIn, Facebook and AdRoll in one column and the amount of revenue generated by each traffic source in another column. This will all become possible with dimension widening. Whether you will be able to calculate ROI of this activity directly in Google Analytics or you will be required to do this in Excel is still TBD, but at that point it doesn’t really matter. The heavy lifting has already been done! This type of integration presents the opportunity for lead generation companies to be 50%-75% more efficient with their ad spend, concentrating only on those clicks that yield at least some level of sales, while trimming keywords that cost money but don’t generate revenue. Until then, I would love to hear your thoughts on these predictions in the comments!